After creating small pools of salt water that would host the oysters until they were mature enough to be moved. These small pools consisted of five million oysters that had not settled onto shells yet. The shells were placed in the bottom of the pools where the oysters would eventually settle. 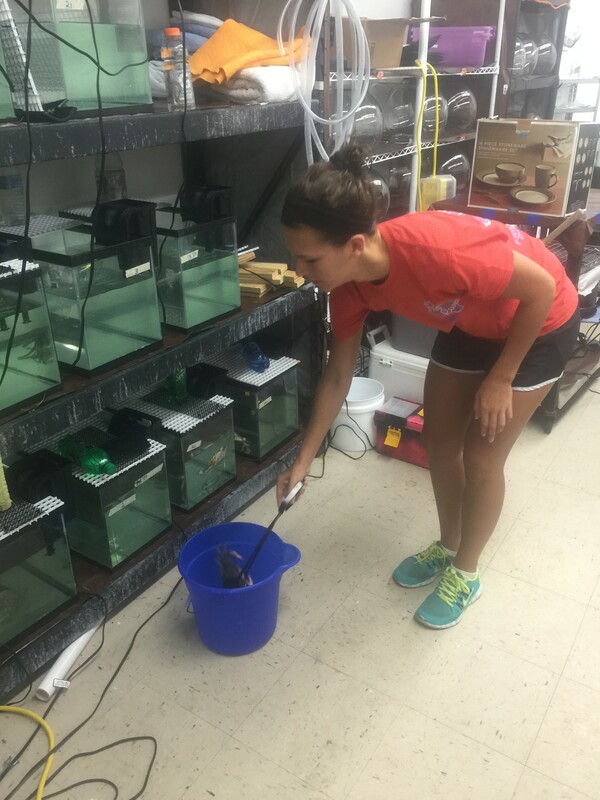 Healthy crabs were put into small tanks in the lab where their typical behavior could be observed on a regular basis. These crabs were fed mature oyster meat to keep them alive while they were in the tank with the oysters. Half of the tanks had crabs while the other half of the tanks did not have crabs and were only hosts of the oysters. Once the oysters were mature enough they were placed into the tanks with the crabs in protective bags so that the crabs could not harm the small oysters. In the tanks without the crabs oysters were also placed in the small bags so that they can be observed in a similar however not exactly the same environment as the oysters that are with the crabs. We built the tanks that the oysters and crabs were hosted in. Mixed salt water for the oysters and crabs in both the pools and tanks. Changed the tank water once a week. Collected wild oysters in the field. Shucked oysters in the lab to be fed to the crabs. Observed the crabs and oysters and monitored their behavior to ensure that everything was working as it should. 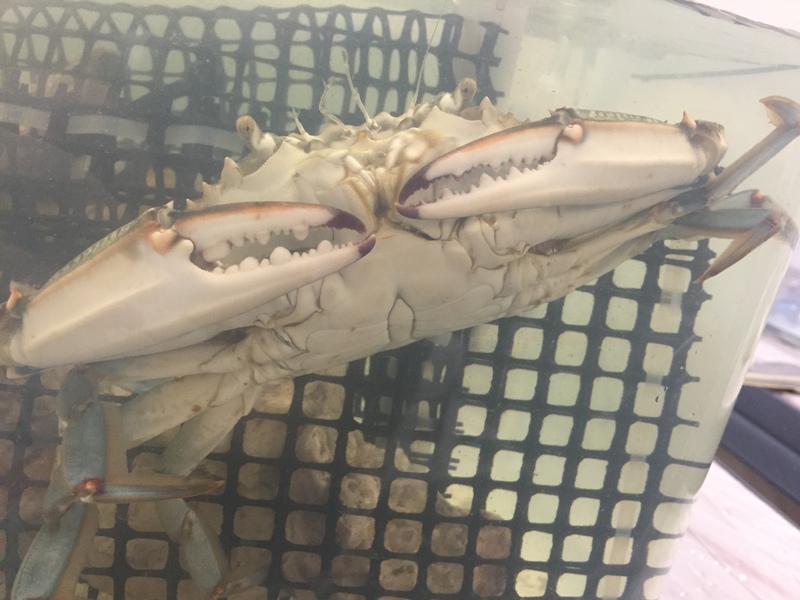 The crabs are very aware of the oysters that are in the tank, however it seemed that they did not necessarily view them as food because they could not reach the oysters in the bags. There is a significant relation between the presence of a predator and the growth of the oysters. How long until the oysters are visibly showing signs of predatory presence. There is an important connection between this experiment and the ways it can be incorporated into an educational and teaching environment. 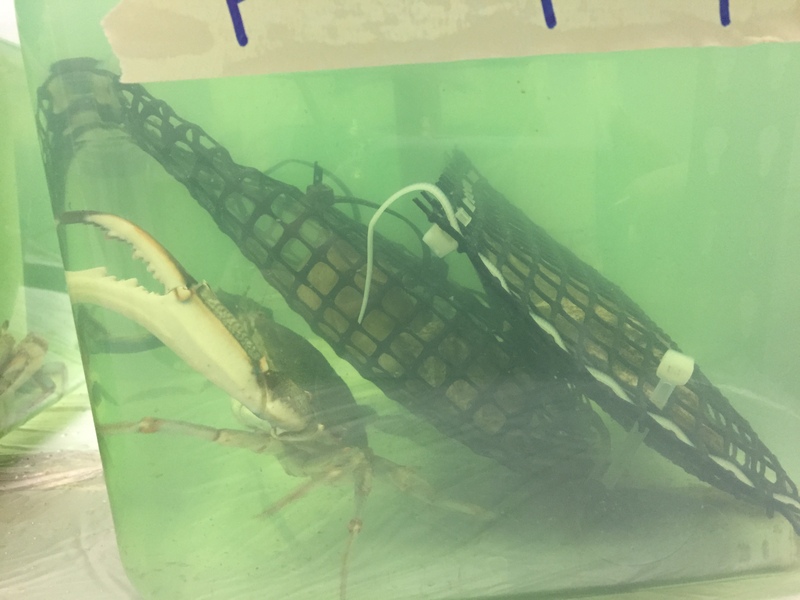 This experiment or one similar to it may be used to reinforce the relation of predator and prey as well as adaptations in certain environments. – This TEK particular deals with adaptations and the specific relation to teaching this lesson plan could be adapted to various grade levels.